The Saturday was a mix of fascinating talks, clinics, stable tours and displays of horses 'dancing' to music. Expert saddle maker Sybren Minkema, who had travelled from Holland especially for the event, gave a demonstration on how to measure a horse for a saddle on a very patient live model, Renske. Later in the day Sybren gave a stunning display of carriage driving with a willing and experienced Hidde from Black Horses Ltd. Sybren had only worked with Hidde once before and some of his commands in Dutch appeared to momentarily get lost in translation by English hearing Hidde! Yet after only a few laps round the arena, they appeared to be in tune and Sybren had the horse working to his commands using the reins and only the slightest whisp-flick of the whip. The expert Friesian handler and trainer, Jolanda Schreuder, shared her extensive knowledge of taking horses through the grading process and her hands-on schooling clinics proved extremely popular. Jolanda has a special intuition, and it was fascinating watching her make an instant connection with a horse she had never met before, and command their respect. These sessions were particularly appreciated by young riders, who had not been through the grading process before. 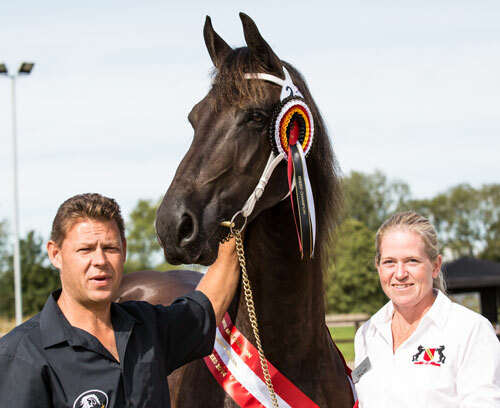 "The official inspections give owners the opportunity to bring their Friesian to be assessed by the jury of the KFPS," said the FHAGBI President, Tracey Venter. "We were delighted to welcome the Director of the KFPS, Ids Hellinga, and the expert judges and official inspectors, Bauke De Boer and Annemieke Brak-Elsinga, who had all travelled from Holland to grade this year's entrants. "Unlike gradings for other horse breeds, which usually take place away from the public view, we encourage people to come and enjoy watching these magnificent horses being put through their paces. 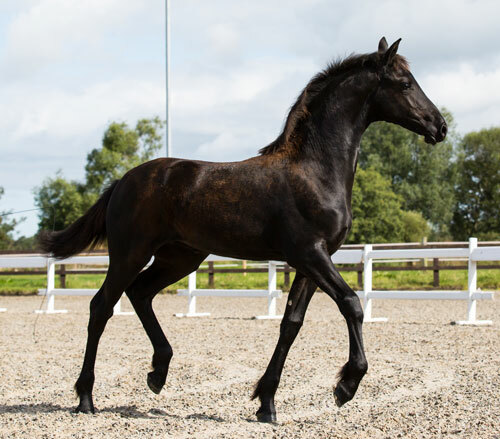 "We are passionate about raising the profile of the breed and some of the committee members are breeders and trainers, so we can offer help and advice to people who may be interested in owning or caring for a Friesian." The main event took place on the Sunday with the all-important Official Studbook Inspections and Grading of mares, foals, stallions & geldings. Click here to see the full gallery for Inspections.